The best deodorant for sensitive skin is free of alcohol-based compounds, parabens, or strong artificial fragrances. All of these harsh chemicals could irritate your skin and make wearing antiperspirant significantly unpleasant. We gathered some high-quality options that will keep your armpits dry and fresh while also keeping the skin healthy and breezy. 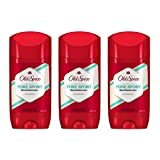 This is our favorite deodorant for sensitive skin for men because it works just as well as regular deodorants and it also smells as fresh as these do. It is the all-natural alternative to commercial deodorants in the true sense of the word. Many customers consider it the best smelling deodorant for men, and after just one sniff we tend to agree. The Signature Mind Every Man Jack is completely paraben- and aluminum-free. As for its fragrance, it mimics classic men’s deodorant perfectly. 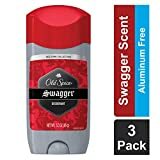 The special blend of essential oil and plant extracts provides men with the smell they have gotten used to from a regular deodorant, all without the use of harsh chemicals. This all-natural deodorant for sensitive skin is water-based, which makes it extremely gentle. In fact, the DERMAdoctor all-natural antiperspirant can even be used immediately after shaving because it will not cause stinging, burning, or itching. Aside from the fact that it is extremely efficient against body odors, Total Nonscents will even lighten the wearer’s skin tone. In addition, its quick-drying formula will leave no white residue on the skin and it will not stain clothing. Therefore, it is one of the best deodorants for sensitive skin out there. This deodorant for sensitive skin combines organic ingredients like arrowroot powder, magnesium hydroxide, and essential oils. The Meow Meow Tweet Deodorant Cream provides superior protection from unwanted body odors. in addition, it is completely baking soda free, which makes it suited for every type of skin and all ages. It will leave your underarm area velvety, dry and fresh and it will keep you odor-free for hours. This deodorant comes in a variety of scents like grapefruit (also includes lemon, sweet orange, and bergamot essential oils) or lavender (also includes tea leaf extract). A good deal of customers state this is the best smelling deodorant for women with sensitive skin. You have to apply the baking soda free deodorant cream from Meow Meow Tweet manually so it provides extra nourishment to the skin. The Weleda Citrus Deodorant comes in a delightful spritz antiperspirant that provides a refreshing boost of energy every time you use it. Its main ingredient is organic citrus oil, which is an excellent natural antiperspirant. The aluminum salt-free formula makes it an amazing deodorant for sensitive skin because it eliminates some of the most harmful chemicals used in commercial products. Weleda has replaced artificial fragrances with the natural freshness of citrus oil to provide people with sensitive skin with a high-quality natural deodorant alternative that will keep them sweat-free. Lavanila’s Healthy Deodorant is one of the best natural deodorants for sensitive skin. This deodorant has a well-crafted formula that is extremely efficient, as well as notably nourishing for the skin. The active ingredients in this product are organic essential oils which are topped with anti-oxidants and an efficient beta-glucan technology. The Healthy Deodorant combines luxurious coconut oil with refreshing lemon peel oil and delicate aloe extract to provide extra protection. This deodorant for sensitive skin will leave a subtle tropical scent on your skin that will last all through the day and it will keep your dry and odor-free, which makes it the best deodorant for sensitive skin for a fresh smell. Throughout the years, L’Occitane has earned the trust of women from all over the world because they use high-quality ingredients for their products. The L’Occitane roll-on deodorant for sensitive skin has an aluminum-free formula, which makes it well-suited for any type of skin. Although it’s not the best smelling deodorant out there, it has a delicate smell that will keep you dry and body odor-free all day long. The all-natural deodorant by Carolina Sap Works is free of aluminum, parabens, and phthalates. It uses baking soda to fight bacteria and body odor while the arrowroot powder extract keeps the skin healthy and feeling dry. It doesn’t block the sweat glands, meaning you will still sweat out toxins. Other ingredients include non-GMO Vitamin E, coconut oil, and raw shea butter. 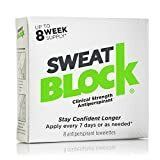 In addition, a little goes a very long way with this deodorant as only a pea-sized amount is required for each armpit; plus, it can be used on other areas of the body as well! This deodorant cream is an amazing alternative to generic commercial products. This all-natural product is made from organic oils and plant extracts. It has a lavender and green tea base and a touch of peppermint that will provide your armpit area with a delightful chilling effect. 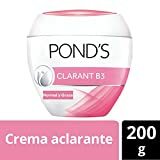 This is an excellent deodorant for sensitive skin because the cream will actively nourish your axillary area and it will provide a calming local effect. The Soapwalla deodorant is applied manually, so it is extremely easy to use, and is the best deodorant for sensitive skin for those who want an all-natural effective deodorant. Dove is one of the best deodorant companies on the market. They have special products for sensitive skin which feature an alcohol-free formula aimed to make them as light as possible. The sensitive skin line is also fragrance-free because it is meant to reduce the use of potentially harming chemicals that could damage the skin. If you’re looking for a scented option, this is hands down, the best deodorant for sensitive skin. These are some of the best deodorants for sensitive skin because they have the Dove quality guarantee. Dove has both spray-on and solid deodorants for sensitive skin, so you can choose the best version for your specific needs. As opposed to other deodorants, you can find these Dove products in supermarkets and department stores, which makes it widely accessible. The Almy sensitive skin deodorant is a quick-drying gel deodorant and antiperspirant that is 100% hypoallergenic. It is completely fragrance-free and has the maximum concentration of active ingredient currently on the market. This makes the Almay antiperspirant and deodorant the second best deodorant for sensitive skin on this list. This is one of main natural deodorant alternatives. Potassium alum is a crystal with antiperspirant properties that works great for any type of skin. You can find it in all-natural stores or online at fairly cheap prices. The proper way to use it is just like you would do with a typical roll-on deodorant, only on wet skin. This deodorant stone is the best natural deodorant for sensitive skin because it is completely odorless and it will fight bacterial growth and, therefore, body odor, leaving your underarm region dry and sweat-free. If the artificial fragrances used in commercial products are the source of your skin sensitivity or rashes, then potassium alum is the best deodorant for sensitive skin. All in all, the all-time best deodorant for sensitive skin is the potassium alum; however, the one from Almay is also highly effective and long-lasting, and so are the Dove stick deodorant and the Soapwalla cream one. Do you have other suggestions for this top? What’s your experience with these or other deodorants for sensitive skin?